The title of this post is a play on words about choosing between a protocol or not for what to do for an unusual situation at a birth. Formula or wild? 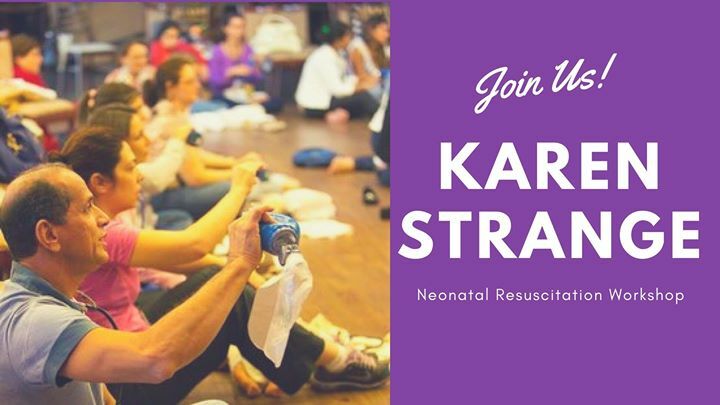 I was recently at Karen Strange’s Neonatal Resuscitation Workshop. I so enjoy Karen’s brilliance in taking the out-of-hospital midwife or assistant through overarching values to evidence-based care for the normal newborn to full-on resuscitation of the baby not transitioning to breathing upon birth. Step-by-step, Karen Strange teaches assessment and solutions within a belief paradigm of sentient babies. Karen begins with the formula to ventilate lungs from the American Academy of Pediatrics’ Neonatal Resuscitation Program in the out-of-birth setting (home birth and birth center). I found myself comparing how she simplifies a complex process to my similar goal at Spinning Babies®. In Spinning Babies, we simplify the complex topic of fetal malposition. One way we calm the storm of complexity is to activate the parasympathetics. This is calming for both the provider and the parent’s nervous system (which calms the baby and helps flexion and rotation!). What is our approach to this goal? We introduce our topics for “Comfort in pregnancy; Ease in birth℠” with Spinning Babies “Service Marks”. A service mark is, for us, an educational jingle: Physiology Before Force℠; Easier Childbirth With Fetal Positioning℠; Balance, Gravity and Movement℠; Three Sisters of Balance℠; and Three Levels Solutions℠ are subtitles associated with our brand and company. Our “jingles” lead the provider gently into a concept in our workshop curriculums, website, or our videos or books. 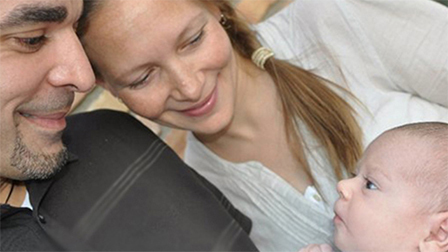 With the Three Levels Solutions℠ providers taking advanced workshops can also learn how to release the stuck shoulders or the deflexed head of babies with a simplicity that raises confidence and competence when handling shoulder dystocia or breech birth. Let’s take breech birth as an example. Physiological breech birth is taught by experts expanding on Frank Louwen’s observations of fetal rotation when the birth is on all-fours or “Knee-elbow”. You’ve heard me talk and have the concepts in our Breech Quick Guide. As a midwife, I am familiar with all-fours position for breech birth as an honored tradition and we recommend it for safety in breech births. We also study for the occasional stuck shoulders or head of the breech baby which can be fixed easily – or lead to an unexpected death. Experiencing several stuck breechlings, I’ve gained comfort moving beyond the formula created for freeing the baby by Dr. Louwen and in traditional and obstetrical maneuvers for breech. Now when a birth happens in a standing and sitting position, I know the inside of the pelvis and needs for flexion and rotation of the stuck baby part for that variation. Therefore, it is to empower the provider to have the necessary skills to, therefore, empower a birthing family that I teach a successful formula-style approach to catch breeches. A surprise breech may typically emerge easier than a known breech due to flexion and rotation through the upper two levels of the pelvis having been achieved before the little bald head is seen on the perineum—and then poops. That’s an inside joke for those midwives who’ve told me with humor the surprising discovery that baby is actually bum first. Seriously, though, the ease of a surprise breech ill-prepares the provider for attending planned breeches. The surprise of a stuck baby is an emergency. A formula which has been practiced can save the baby’s life. Once success has trained the hands in what works and insights come deeper as to why the techniques work – and why something didn’t work! – then maternal variations are much easier to navigate and solve. Follow the safety formula. Integrate principles. Then you are more able to respond to the spontaneous – the wild instincts. Wild food can be enjoyed to the fullest when survival is most likely. As providers, we have an agreement to know how to handle the unexpected. Hands are never out of electricity, battery, or missing a piece that was needed for the job. Learn hand maneuvers by memorizing and practicing the formula. Freedom leaps from a firm foundation. Louwen, F., Daviss, B. A., Johnson, K. C., & Reitter, A. (2017). Does breech delivery in an upright position instead of on the back improve outcomes and avoid cesareans?. International Journal of Gynecology & Obstetrics, 136(2), 151-161.